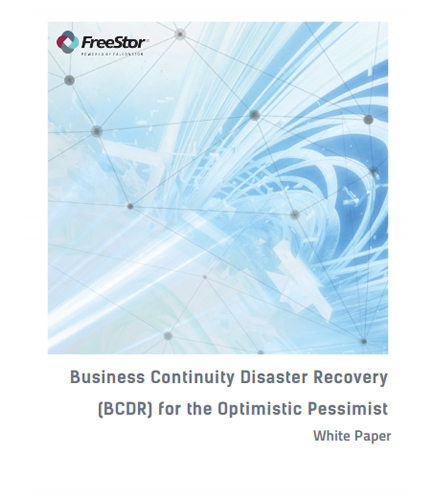 "Business Continuity Disaster Recovery for the Optimistic Pessimist"
Having a business continuity disaster recovery (BCDR) plan is critical to an organization’s success and it is up to you to choose the best DR solution to meet your business needs. Creating a good recovery plan begins with defining recovery objectives and aligning the BCDR strategy with business requirements. A good BCDR plan identifies your recovery objectives and then aligns your strategy to your business requirements. This white paper discusses some disaster recovery (DR) strategies and challenges that an organization might face while creating a business continuity and disaster recovery plan.